Thanks to my hubby, I discovered Foodbuzz. And thanks to Foodbuzz I am able to connect with a lot of people, all around the world,who share the same passion for food and cooking. I connected with Abby, Manila Spoon, I have to say that I love her recipes and so I decided to try. 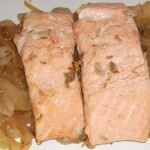 I made her Salmon on a bed of Caramelized Onion. I used fennel seeds instead of dill weed, as in Italy you don’t always find herbs that aren’t typically Italian herbs (basil, parsley, mint etc). We loved it, it’s a perfect match and makes a wonderful dinner for two. Slice the onions and saute them in a pan with the 2 tbsp of oil. Saute them until they become brown (about 15 minutes). Then set them aside. I prefer seasoning meat and fish at the end and not before cooking them. But feel free to do so. Return the same pan on the stove, add 1 tbsp of oil and cook the salmon 2/3 minutes per side. Put aside the salmon and season with the fennel seeds, salt and pepper. Bring back the onions to the pan and cook for another 5 minutes and add the white wine and let the alcohol evaporate. Season the onion with salt and pepper. 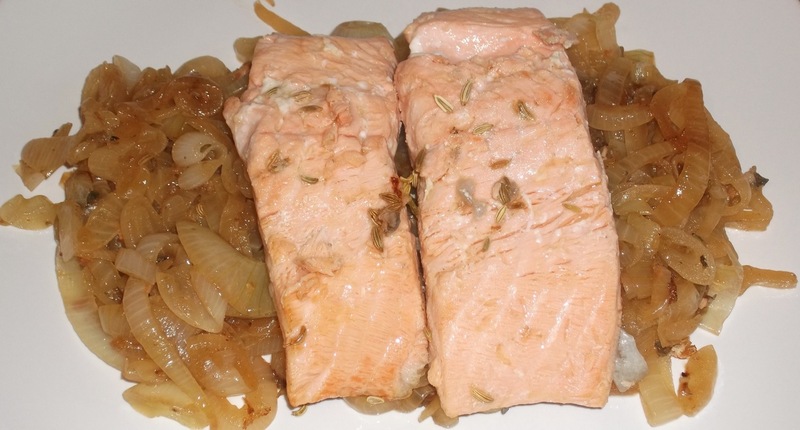 Serve the salmon on top of the onions. 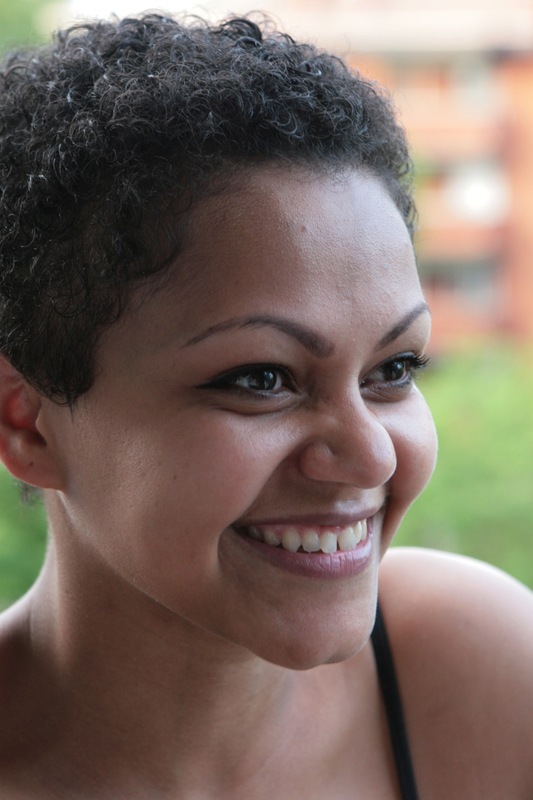 So glad to see this Dalia! I’m happy it worked out for you. Here’s to more sharing! That salmon was absolutely stunning. And, as an added bonus, caramelized onions do not “last” for long after you’ve eaten them. Thumbs up!